Tickets are $15 each and can be ordered by calling 523-2712. When calling, please leave your name, phone number, the number of tickets required and which night you prefer and we will get back to you as soon as possible. 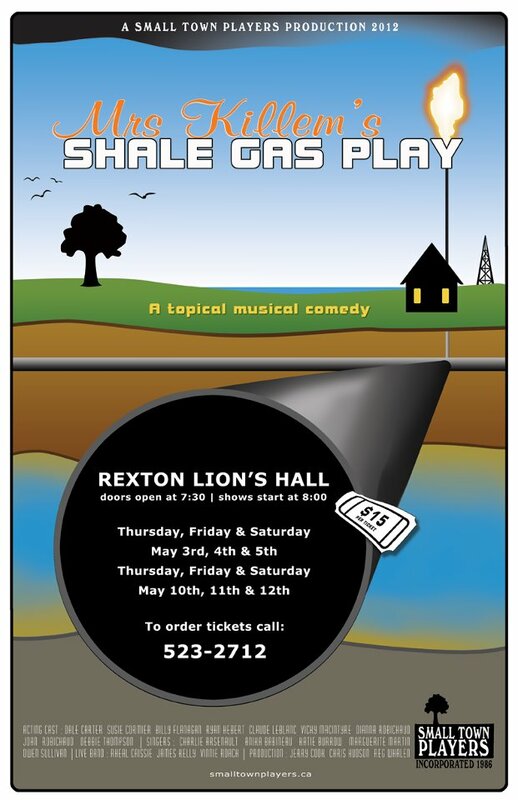 Mrs. Killem invites you to come and see her shale gas play. You can find her at her blog http://smalltownplayers.ca/. Follow Gertie on Twitter @mrskillem. You can also find her on Facebook at www.facebook.com/gertie.killem where she says, "I'm the big boss, cheif cook, cleaner, bottle washer and the list goes on and never ends!! Went to school of hard knox"